Old. Weird. Dead. Beautiful. That's what I like. There are all sorts of classics I've never reviewed, mainly because, well, they're classics. Someone has already done the job. So I've neglected a whole bunch of things that I would consider classics by any standard: Sholay (1975), Deewar (also 1975 -- a heckuva year, as we say here in Fargo-land), Don (1978), and even, most criminally, Amar Akbar Anthony (1977). Apart from AAA, which I'll get to later, I'd most highly recommend Don for those who are wondering about the '70s. (And don't we all, one way or another, wonder about the '70s?) If you're not sure how the off-the-wall villains and decorative motifs of the groovy decade will sit with you, it's a pretty pain-free introduction. If you're going to like the crazy-wacky, you'll probably know by the time you're done with Don. It's got Helen, Pran, tiger masks, a double role, a clever plot, and various random acts of violence, but in a context that never gets too heavy. Strangely, all the movies in that list of must-see films from the '70s seem to have two things in common: I haven't written about them, and they star Amitabh Bachchan. I guess I've written about Zanjeer and Naseeb, but largely, I've pretty much ignored the whole Big B oeuvre in my blog. The weird thing about Amitabh is, even when I love him, I just don't have much to say. It's funny how that is. There are certain tropes, certain themes, and certain personalities that I can't help gravitating toward. Like how I didn't choose to be obsessed with disco movies; I just am. If your film contains disco; outrageous clothes; shrines or temples of any description, from any religious system; graveyards and/or skeletons; or cephalopods, preferably squids -- I don't really need to know anything else about it. In fact, I was recently reading about a film (Bhoot Bhungla) and came across the phrase "song and dance sequence involving skeletons and the Twist." I think I'd ordered a potentially dubious copy on eBay before finishing the review! And while there are many actors that I admire, many I lovelovelove -- I don't love them in a way that makes me want to talk about them all day, which is the ineffable quality that makes them bloggable. That is an elite group, and let's hope nobody gets it in mind to do a '90s week, because one of those people is in fact SRK, who I know has been talked about to death...and yet, I always find more to say. Fortunately, for now, my Ram Jaane obsession is twenty years in the future, and let's hope unleashing it remains an idle threat. Because I have PLENTY to say about the Man of the '70s. Logically -- even looking at the movies I think are objectively the best, and the ones I'd recommend in a second as most archetypal, as well as entertaining -- Amitabh Bachchan owned the '70s. Besides him, many other actors of great talent and supernaturally good looks (male and female) ruled the screen, and are well worth discussing. But in the strange, squid-encrusted world of ghosts and goddesses that I call home, only one man can be said to reign supreme in the '70s. Yup -- may as well call it Rishi Kapoor Week around here. Of course, it's always Rishi Kapoor Week somewhere. But this week, I plan to revel in it! Movies that are such obvious classics that I don't need to write about them, I'm going to ramble on about them anyway. Consider yourself invited -- or warned, as the case may be. Rishi was amazing in the 70s. In Hum Kisise Kum Nahin and Amar Akbar Anthony he is coolness personified. As Sholay and Don both created specific sub-genres, I think mention should also be made of Yaadon ki Baaraat which has arguably one of the most popular songs of the decade "Churaliya hai". LOL about order immediately once you saw skeletons and the twist, a magic combination really, and why would you need more information to place the order. Well done! I have this thought too, "The weird thing about Amitabh is, even when I love him, I just don't have much to say," but for me I think this is because how could I start and not stop once I started. I think that's the issue for me, it would come out in a nonsensical rush, "well he has these white pants most of the time, then then he's got this rope around his neck,and then..." I'll be checking back to get my 70s Rishi fix. Memsaab: Agreed, but even in the 80s/90s, it got tragically worse, but then it got better. Anirban: Eeee, I still haven't seen Yaadon ki Baaraat. How did you know it's been lurking on my queue? I'm afraid that once '70s week is over, my list will grow even longer! But I will definitely get to it, if just for Zeenat and her amazingly fantastic hair. Sitaji: You totally need to do that post. Because I really want to read that post! Just take a deep breath, and let it all out. We're with you, sister. Rishi Week! How AWESOME!!!! I sometimes think that between AB and Rajesh Khanna (yes, he did start out as king of the 70s! ), most bloggers tend to forget the goodness that was Rishi in the 70s. My personal Rishi favorite is Khel Khel Mein - teenage romance meets Alfred Hitchcock. But then he is pretty awesome in Hum Kisi Se Kam Nahin, too, and pretty much everywhere else. Cant wait to see more of Rishi, here! I have started Khel Khel Mein about fifty times and never gotten past the first half hour. You can try googling for the movie online, if you are willing to brave an unsubtitled version. As to Rakesh Roshan's acting - nothing in it would lead you to believe he is capable of creating a Karan Arjun or a Koyla! I'm excited about Rishi week too. I love Rishi. 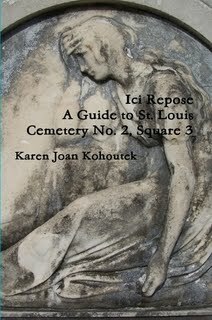 Ici Repose: A Guide to St. Louis Cemetery No. 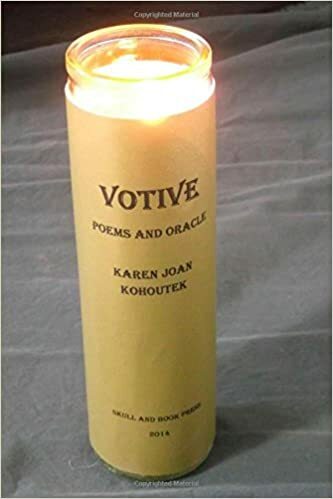 2, Square 3; Votive: Poems and Oracle; and The Jack-o-Lantern Box are available in print through Lulu. 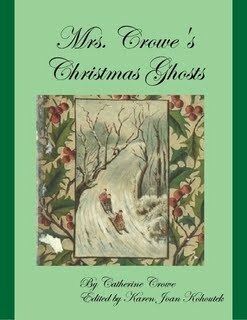 The Jack-o-Lantern Box is also in an ebook format via Smashwords. For questions about the books or Skull and Book Press, contact me at octoberzine at gmail dot com. I used to wonder why people formatted their email addresses like that. Now I know. A friend once said, "You talk about skulls the way some girls talk about pandas." "Everyone contributed to making me"